Vaporizing is a smokeless method for inhaling cannabis. A vaporizer heats the herb at a low enough temperature to avoid combustion and instead producing a vapor. Respiratory toxins such as tar or carcinogens that occur in combustion are avoided. Essential oils are derived from the product and a barely-visible vapor is inhaled rather than smoke. Vaporizers work with your preferred dry marijuana and provide great flavor without almost any smell or carbon. * The information contained on this webpage has been not evaluated by the FDA. On all health matters, always consult with your Physician. 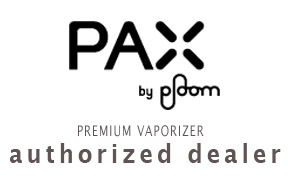 Get Your Vape from Annapurna where you will find the best selection & Price!